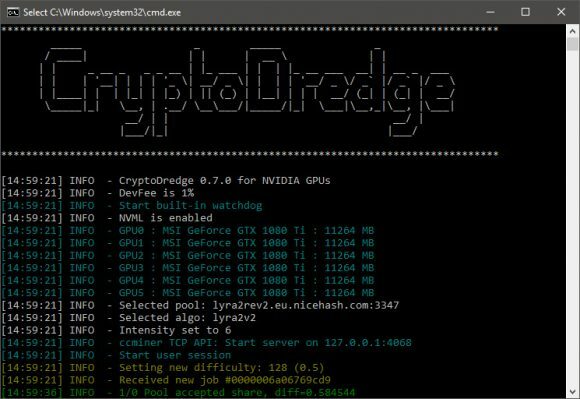 CryptoDredge is a relatively new Nvidia GPU miner that we are using mostly for its great Lyra2REv2 performance, though the miner also supports a number of other mining algorithms with good performance as well. 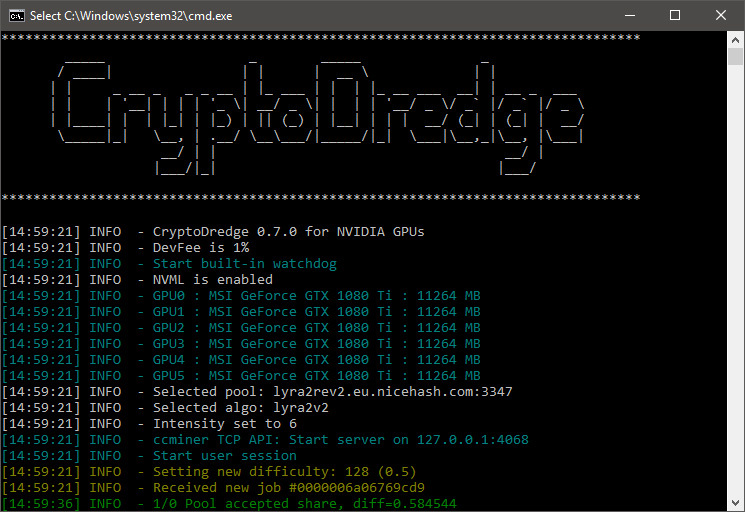 The just released latest version of the software CryptoDredge 0.7.0 comes with just some improvements and fixes, but more importantly there is now a Linux binary available and not only a Windows one. We need to remind you that CryptoDredge is a closed source miner that comes with 1% built-in developer fee, so there is no source code and only binary releases available that you can use. Feel free to compare performance o Windows and Linux versions of the miner and report your results in the comments below.